We recently heard from a plastic surgery firm looking for IT services. They were wondering the benefits of outsourcing their IT to a professional third party and wanted to know the observable benefits that this kind of partnership could bring. We thought it’d be a great idea to explore some of these benefits for other interested cosmetic surgery practitioners. Does Your Cosmetic Surgery Practice Need an IT Facelift? It’s no longer a surprise that technology has all but replaced paper in the healthcare sector. Digitization and virtualization are continuing to drive innovation in healthcare settings of all kinds. Practitioners and healthcare professionals are embracing this development but are definitely working to adapt to such rapid-fire change. For cosmetic surgery healthcare professionals, this technological evolution is particularly important. As the cosmetic surgery industry continues to grow and expand rapidly, professionals are looking to technology to help them better manage an influx of patients while also providing personalized and meaningful care experiences. While most cosmetic surgery practices have adopted a variety of different hardware and software solutions to modernize their clinic experience, many are still struggling to take full advantage of the optimizing potential that technology offers. As such, many are turning to managed IT providers for all-encompassing solutions that will help their clinics flourish. We thought this would be a great time to explore the top three ways that a managed IT provider is the common-sense solution for cosmetic surgery practices of all shapes and sizes. Check out the key benefits below. Think about the average day in your cosmetic surgery practice. Chances are things are pretty hectic. Scheduling appointments can be chaotic especially when trying to balance new patients with existing, follow-up visits. The information needed for each appointment is often difficult to collect and centralize in one place so it’s at the doctor’s fingertips as needed. You and your support staff are often going back and forth over specific details or documents. Technology should be in place to help your clinic streamline all of these processes and correct any redundancies and inefficiencies. Of course, we know that you and your staff are busy enough without having to worry about identifying weak spots and implementing tech solutions that innovate. That’s where a managed IT provider comes in. The right managed IT partner will have a bird’s eye view on your entire network and will be able to recognize spots for optimization. Even better? They’ll have your processes streamlined before you even know a problem was holding you back. Proactive optimization is perhaps the leading benefit a managed IT provider can offer cosmetic surgery practices. Alright, it’s no surprise to you that patient confidentiality is of utmost importance – in fact, it’s absolutely critical. Keeping patient information secure and confidential is not only a best practice – is regulated by law. As virtualization and technological innovation continue to innovate the healthcare space, practitioners across all specializations are worried about maintaining strict and dynamic HIPAA protocols. Again, with a busy clinic and an influx of patients, rigid HIPAA procedures are probably not the first thing on your mind. But since the potential costs of non-compliance are hefty – and since you value your patient’s privacy over all else, finding a way to prioritize and maintain a HIPAA compliant environment trumps everything else. So, how do you find a way to stay compliant without spending precious patient care hours getting lost in compliance technology? A managed IT service partner can help ensure you’re HIPAA compliant and that patient data is secured at all endpoints. 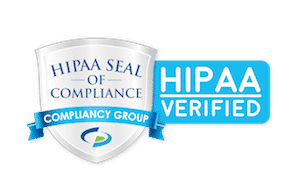 With the knowledge and experience to deploy all-encompassing HIPAA compliance solutions and the dedication to keep your network consistently monitored, a managed IT provider can relieve any and all compliance stress from your practice. The peace of mind in knowing that your patient information is consistently secure – at rest or in transit – is a truly priceless asset that only a managed IT provider can offer. Perhaps the most important responsibility for cosmetic surgeons and their support teams is ensuring that each patient receives a stellar and personalized care experience. Because the nature of plastic surgery can be very personal and sensitive, it is even more important for practitioners to make their patients feel seen, heard and taken care of fully. If you and your team are constantly getting bogged down by technical issues or delays, chances are your patient care experience is taking a hit. With all your IT fully managed and monitored by a team of industry experts, your entire team will be able to focus on what matters: the patient care experience. Let your IT security, productivity and compliance be handled behind the scenes while you are your team focus on making each and every patient feel as confident and taken care of as possible. You got into the business of helping transform people – inside and out – don’t put that on the back burner to handle tedious technical details. Outsource to an expert and enjoy more face-to-face time caring for your patients. When it comes down to it, we want all healthcare professionals to know that technology should be enriching your clinic environment. Technology should never be making things more difficult for you and your team and if it is, it’s time for an IT nip & tuck. Ideally, perhaps you’d be able to optimize your IT infrastructure all on your own. But as mentioned, trying to do so in such a fast-paced and booming specialization can have hugely negative impacts on your compliance and your patient experience. You should be focusing your energy where it matters most – on the care and support of each patient you work with. That’s why a managed IT provider can truly transform your clinic’s approach to IT management and optimization. Removing the weight from your shoulders and leaving technology in the hands of the professionals who ‘get it’ can have a massively positive impact on your team and your patients alike. When looking for a managed IT provider to optimize your clinic’s infrastructure, be sure to know what it is you’re looking for and the exact needs you’re looking to have met. Compare providers and above-all-else, partner with an expert who has experience in the healthcare sector. When it comes to optimization, compliance and patient experience, a partner who understands the healthcare space will make all the difference.